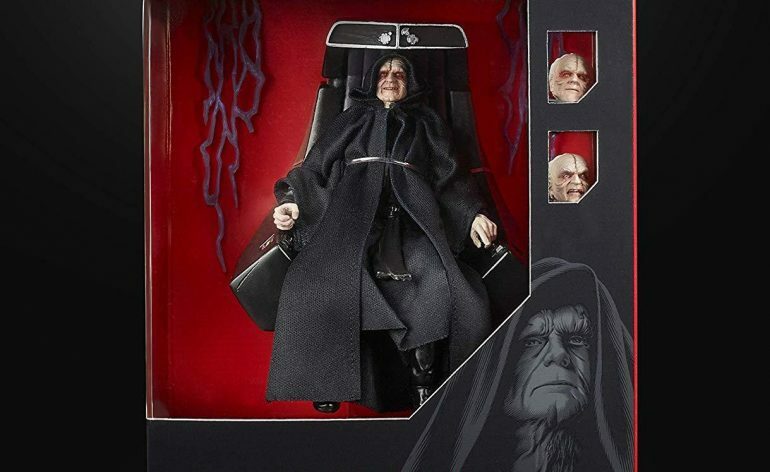 A Vastly improved Emperor Palpatine is on the way! Before Star Wars Celebration this weekend, where some new figures, a video game and more information on the untitled Star Wars Episode 9 film. Hasbro have dropped a fantastic reveal just before the event. 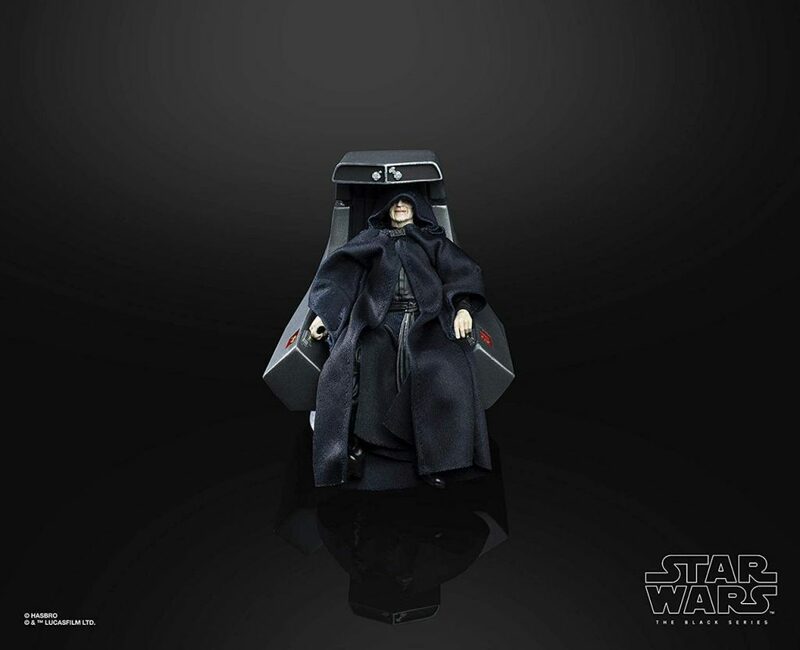 They have revealed a brand new emperor figure which is a vast improvement over the original Black Series Emperor figure which came out a few years ago. 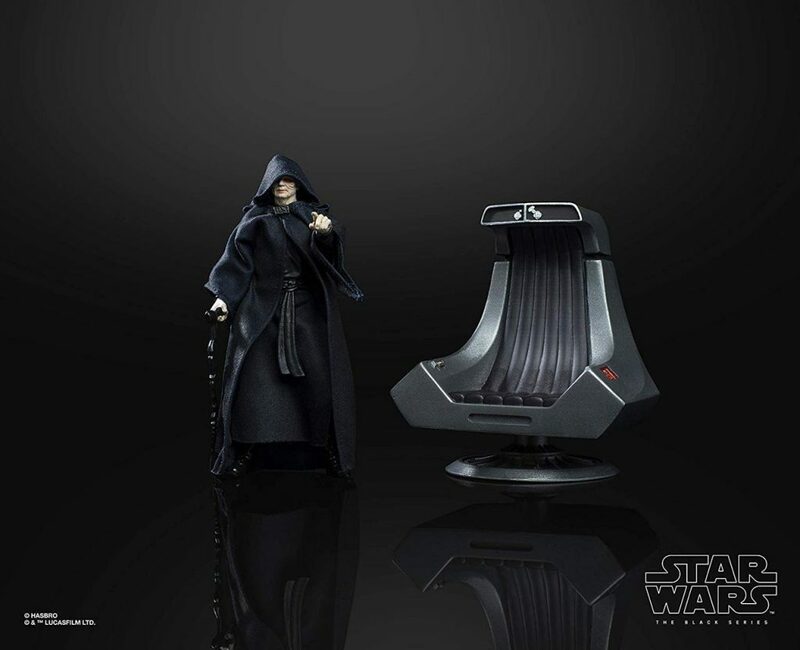 As you can see this Emperor figure comes with his throne from Return of The Jedi which looks absolutely fantastic. I really love the look of it. 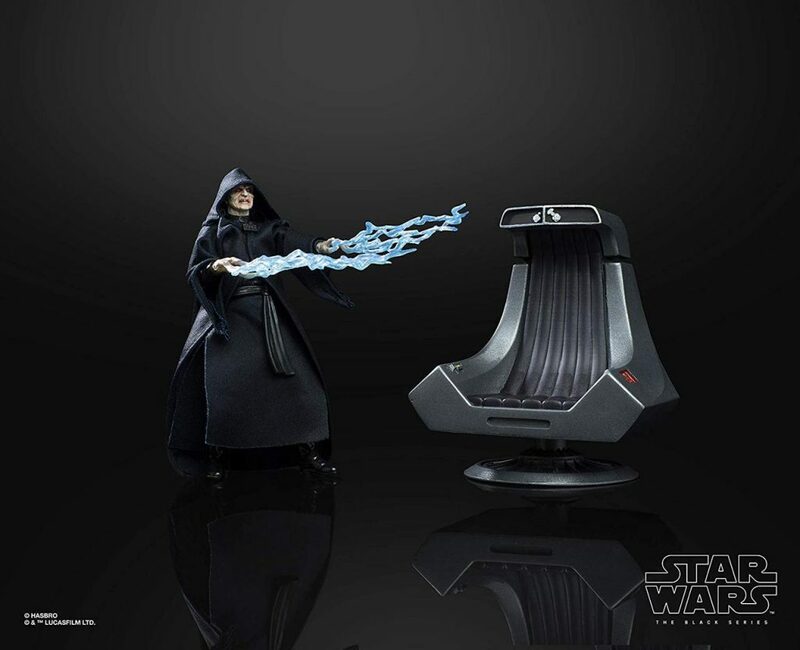 Not only that the Emperor figure looks incredible and a lot better than the original figure. You can see that they’ve used the face printing tech on all three of the heads and he looks incredibly menacing. Speaking of faces he has a laughing head, an aggressive head, and a neutral head. All of which look absolutely fantastic. The soft goods robe looks great as well and hangs very naturally off him, most importantly round the head. Accessory wise he also comes with his cane and some interchangeable hands with lightning effects which look awesome. 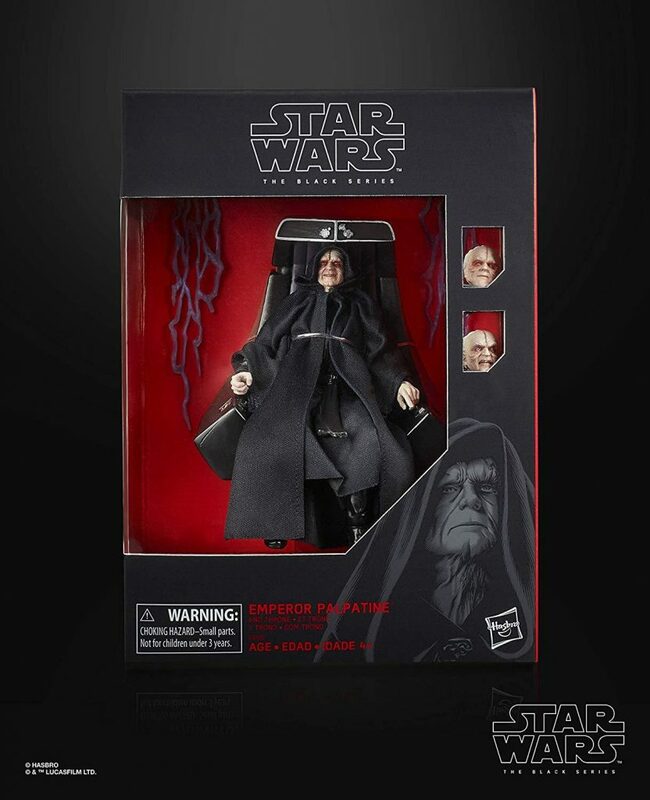 There’s no doubt about it this is the definitive Black Series Emperor figure. It’ll be available to pre-order from April 13th and is expected to be priced around $49.99. I’ll definitely love to get this figure as it looks amazing and I’m glad I held off from getting the original figure.